This entry was posted in Housing and tagged Illegal Alien, Public Housing on April 18, 2019 by Bone Fish. This entry was posted in Housing, Mortgage and tagged reverse mortgage on March 14, 2019 by Bone Fish. 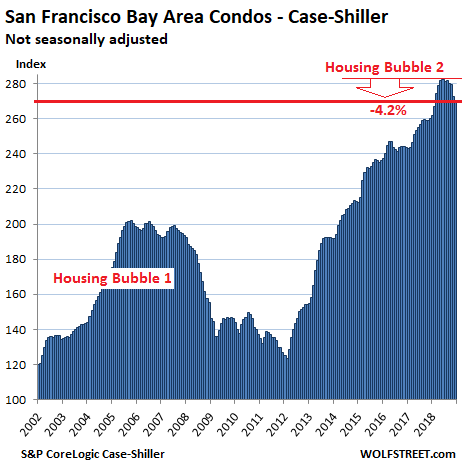 San Francisco and San Diego are catching the Seattle cold, and others are sniffling too, as the most splendid housing bubbles in America are starting to run into reality. 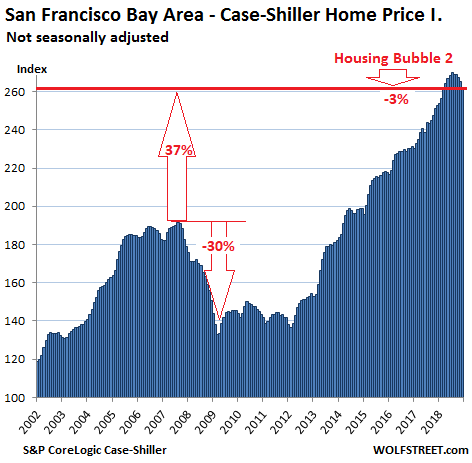 The Case-Shiller index for “San Francisco” includes five counties: San Francisco, San Mateo (northern part of Silicon Valley), Alameda, Contra Costa (both part of the East Bay ), and Marin (part of the North Bay). In December, the index for single-family houses fell 1.4% from November, the steepest month-to-month drop since January 2012. The index is now down 3% from its peak in July, the biggest five-month drop since March 2012. 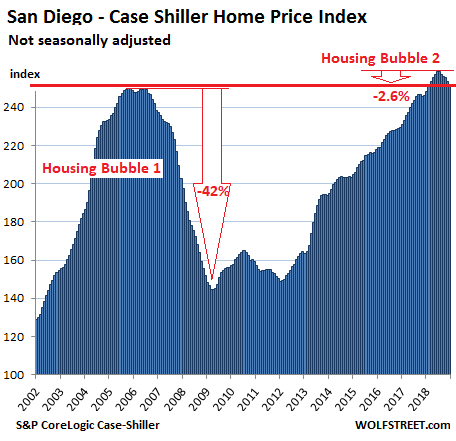 The Case-Shiller Home Price Index is a rolling three-month average; this morning’s release tracks closings that were entered into public records in October, November, and December. 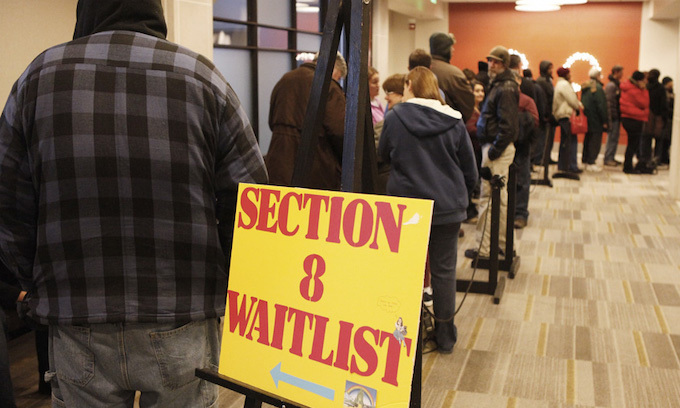 By definition, this causes the index to lag more immediate data, such as median prices, by several months. 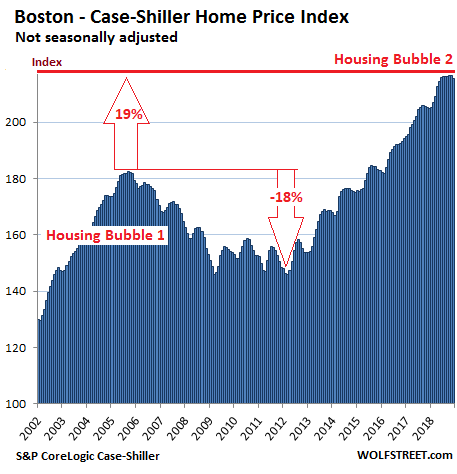 The index is based on “sales pairs,” comparing the sales price of a house in the current month to the prior transaction of the same house years earlier (methodology). 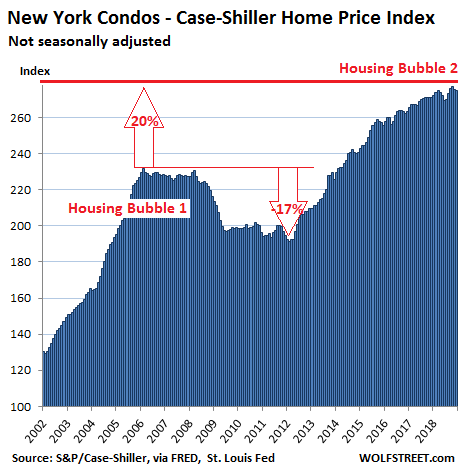 This frees the index from the issues that plague median prices and average prices — but it does not indicate prices. It was set at 100 for January 2000; a value of 200 means prices as tracked by the index have doubled since the year 2000. 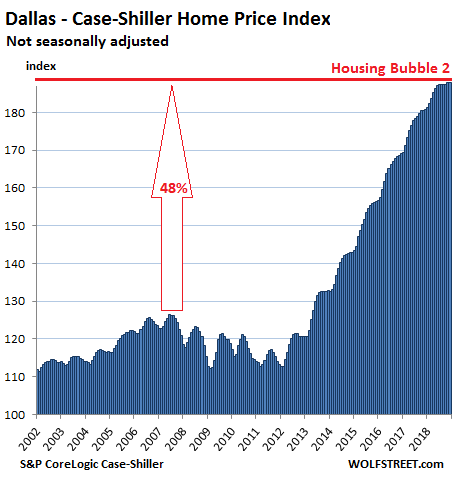 Every index on this list of the most splendid housing bubbles in America, except Dallas and Atlanta, has more than doubled since 2000. 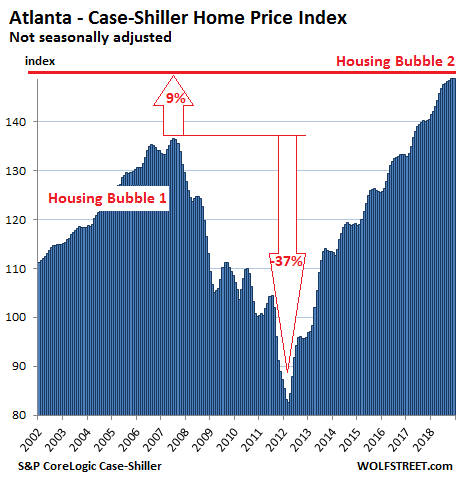 The index is a measure of inflation — of house-price inflation. 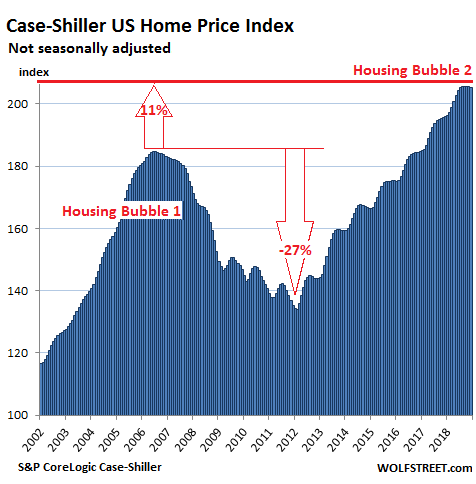 It tracks how fast the dollar is losing purchasing power with regards to buying the same house over time. 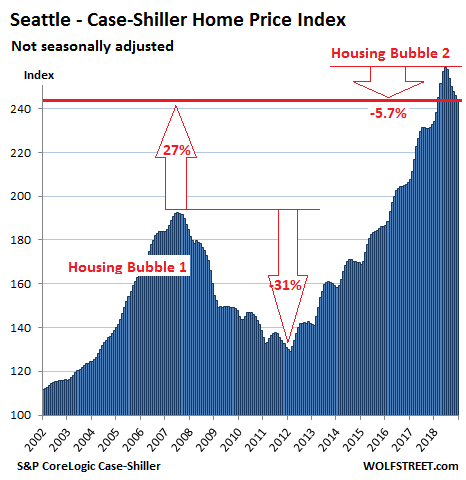 On a national basis, these individual markets get averaged out with other markets that didn’t quite qualify for this list since their housing bubble status has not reached the ultimate splendidness yet. 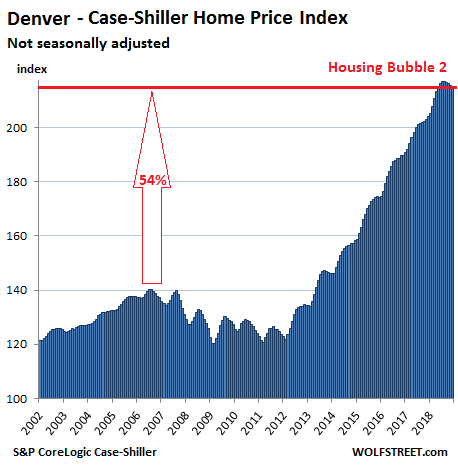 Some of those markets, such as the huge metro of Chicago, remain quite a bit below their Housing Bubble 1 peaks and are now declining, while others are shooting higher. 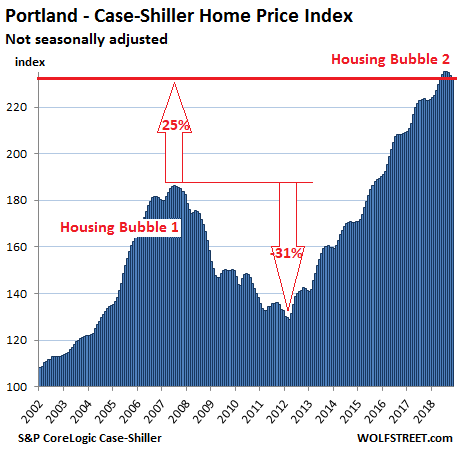 This entry was posted in Housing, Housing Market and tagged housing bubble, housing market on March 1, 2019 by Bone Fish. So much for their “affordable housing” policy. 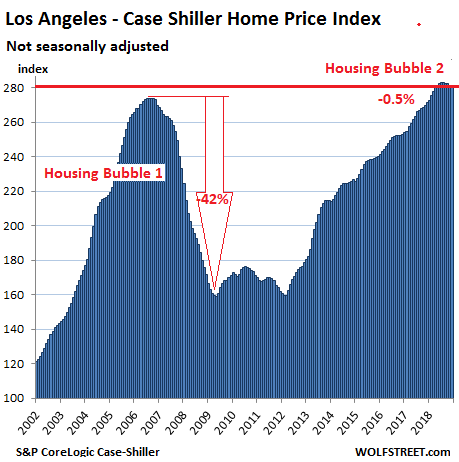 This entry was posted in Housing and tagged affordable housing on February 19, 2019 by Bone Fish.